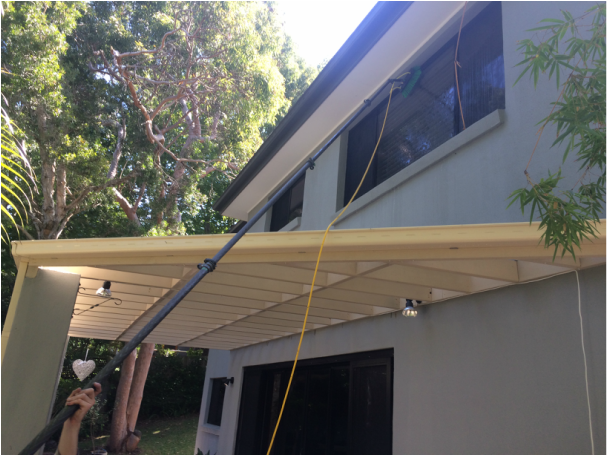 We have been providing quality window cleaning services for over 17 years on the Northern Beaches. Regular window cleaning can be a daunting task but when they are kept clean it looks fantastic. We have the experience in cleaning all kinds of windows. From large retail shop windows to residential homes, we’ve cleaned them all! We have invested in the latest window cleaning technology which means we can professionally clean those hard to reach windows that were previously next to impossible to clean. We also use a crystal pure water system that purifies the water prior to cleaning, so is designed to leave no streaks that traditional squidgy washing does. We clean both internal and external windows and we come highly recommend having both cleaned regularly for long term clients. We also clean solar panels, very carefully. You can expect the same degree of care, experience and attention to detail that we give to all the jobs we undertake. We have the most competitive and affordable rates available in the market. You will find us courteous and willing to listen.